First released in 2017, the action adventure mystery is coming to the Nintendo eShop. Perfect World has announced that Hob, Runic Games’ action adventure mystery, will be releasing for Nintendo Switch. It will come to the platform on April 4th via the Nintendo eShop. Check out the announcement trailer below, complete with blurbs from different publications praising the game. 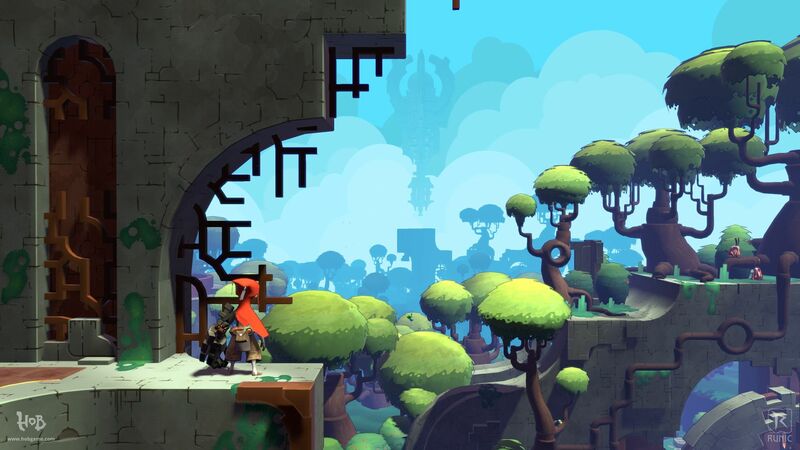 Hob: The Definitive Edition doesn’t seem to have much distinguishing it from the current versions on PC and PS4. Still, the narrative of a being named Hob traveling the world and trying to make sense of it all is still intriguing. Players will transform the landscape, unearthing new areas to explore while battling enemies in the process. No, it’s not like Runic Games’ Torchlight series, but it’s still a very compelling adventure with an appealing aesthetic. Stay tuned for when Hob: The Definitive Edition is available on Switch. In the meantime, check out GamingBolt’s official interview with the development team on how the original vision for the game came together.